OK, OK, this morning’s report has nothing to do with small business lending, but as we enter the dog days of summer the news is a little light. But for all bankers, this is an excellent article of the history of the origins of the 7 billion euro Vatican bank, and the challenges facing it today. And, if you have spent any time in a branch, you will absolutely love this description of the physical layout and pageantry of the bank. “The peculiarities of the bank are everywhere to be seen. Just getting inside it is no easy matter. First, you have to enter the Porta Santa Anna, one of the gates that leads into the Vatican City State, patrolled by members of the Swiss Guard in jaunty black berets and blue tunics. “After being met by a bank representative, visitors are led through a stone doorway crowned with a papal coat of arms. Inside are the pot plants, photocopiers and marble-topped tables that you might expect in a prestigious private bank, but also bronze busts of popes and portraits of Pope Francis and his predecessor, Benedict XVI. “The boardroom looks much like any other apart from a porcelain statuette of the Virgin Mary in one corner, a wooden crucifix on the wall, and on the ceiling an allegorical fresco depicting the Catholic Church, represented by a Marian figure in flowing robes, being presented with gold and jewels as a female figure representing Justice looks on serenely. “The day-to-day business of the bank takes place in a huge circular room consisting of a half-moon of cashiers’ desks. Priests in clerical collars and black suits wait patiently alongside elderly nuns to withdraw money or check the balance of their accounts. 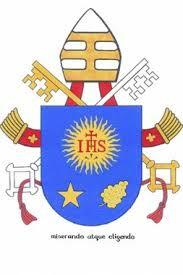 For more and to read about the fraud scandals at the Vatican bank, go here.